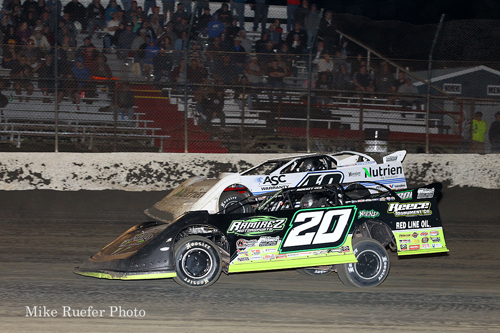 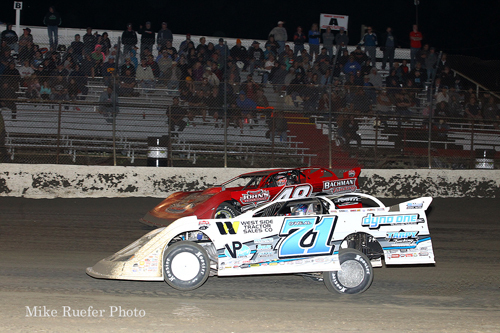 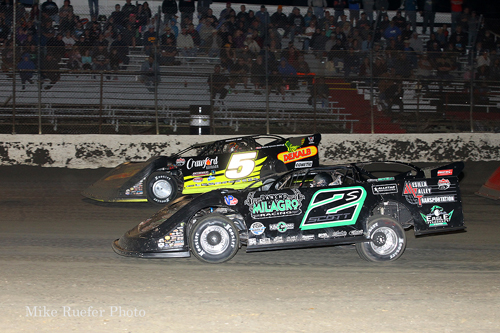 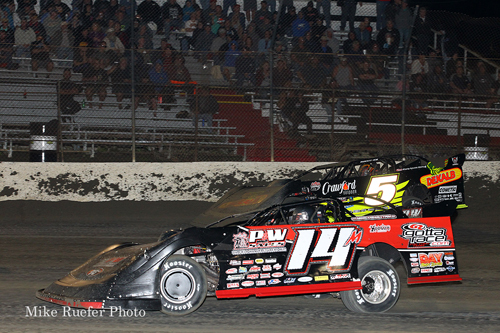 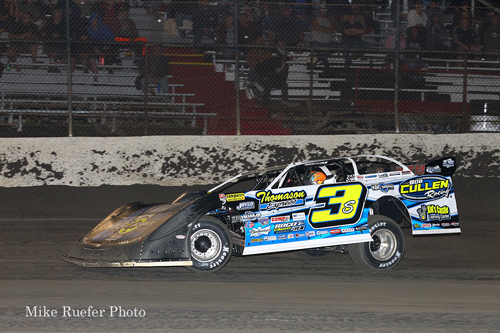 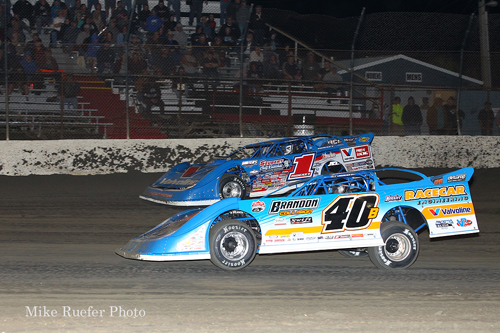 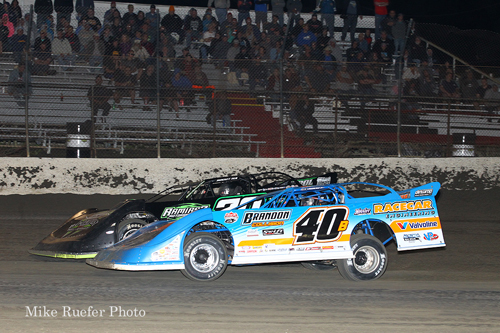 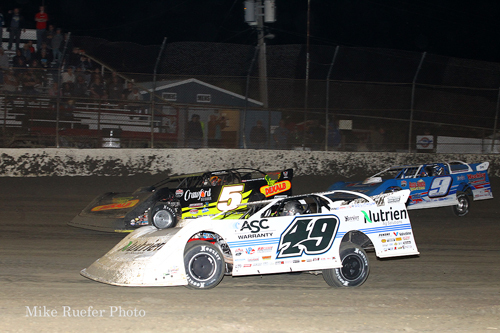 Tyler Erb (center) won his second Lucas Oil Late Model Dirt Series feature in as many nights. 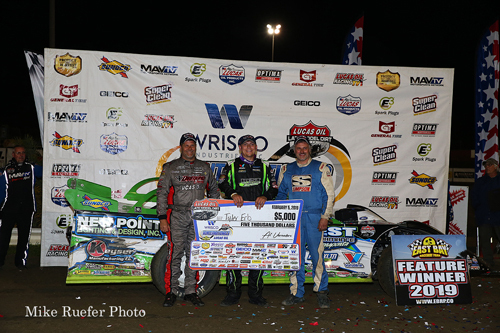 Joining Erb in victory lane is runner-up Earl Pearson Jr. (left) and third-place finisher Dennis Erb Jr. (right). 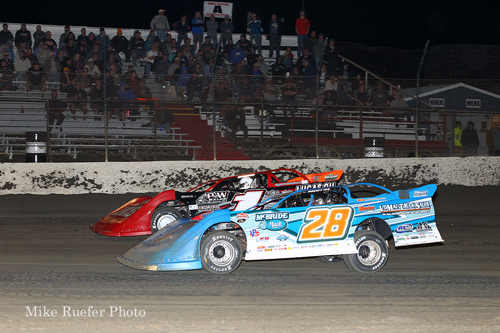 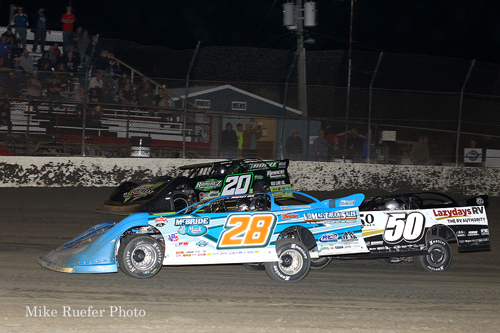 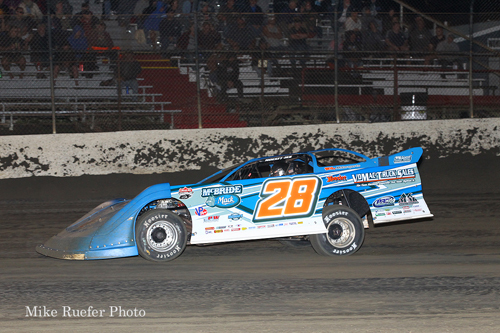 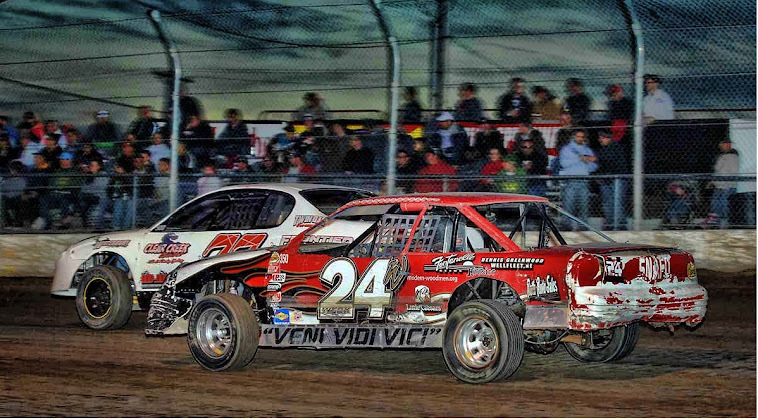 Dennis Erb Jr. #28 and Earl Pearson Jr. #1 battle for position. 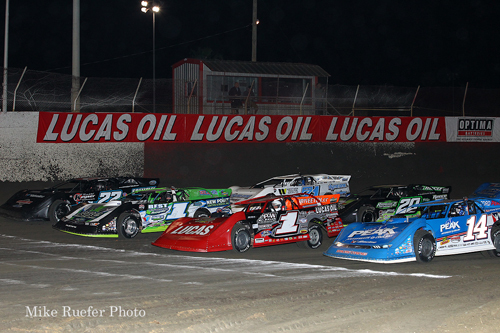 The four-abreast salute to the fans.